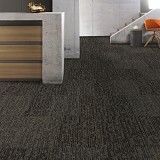 Explore Quick-Step Commercial Carpet Tile Collection styles! Buy Quick-Step Commercial Carpet Tile Collection Today and Save! 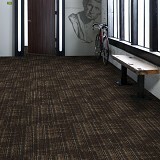 Quick-Step Commercial Carpet Tile Collection has a large variety of styles and colors to choose from. 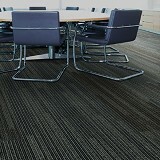 Quick-Step Carpet Tile was developed for the commercial market. It features a 100% Solution Dyed Nylon BCF fiber system and is Glue Down with Enpress Pressure Sensitive Adhesive or Flexlok Tabs. Quick-Step Carpet Tiles are offered in 6 different collections. All Visual Collection, In Sight ll Collection, Must See Collection, Must See ll Collection, Pursuit Collection, and Transitional Collection. Each Collection is available in a variety of colors and patterns. Carpet Tiles by Quick-Step come with a 10-year Limited wear warranty and a warranty against staining and colorfastness. Quick-Step flooring carpet tile is a new line of carpet tile designed for heavy use and multi-functional spaces, such as offices, fitness and workout centers, golf pro shops and locker rooms. 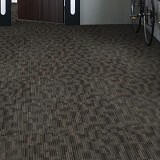 These Quick-Step Carpet Tiles are impact resistant and help reduce interior noise from foot traffic and equipment. 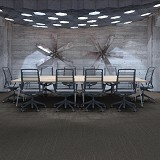 Buy Quick-Step Commercial Carpet Tile Collection today at ACWG!